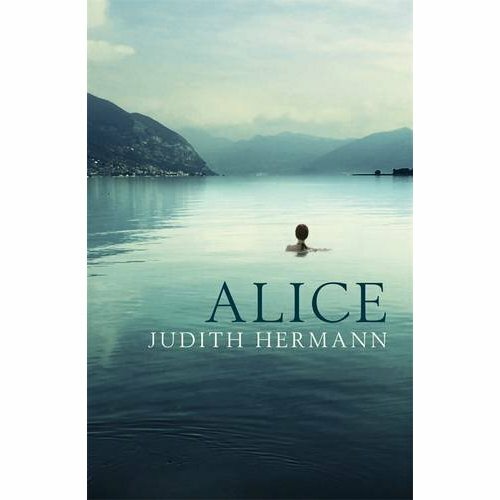 Judith Hermann is from Berlin ,she grew up there studied German and philosophy ,work at German newspaper as an intern after that .The got a grant from the Berlin Academy of art to live in Alfred Doblin house ,she then published her first collection summer-house ,this Alice is her third collection and is darker than her earlier works .Judith Hermann is part of the new wave of female german writer like Julie Zeh AND Jenny Erpenbeck .Alice made the longlist for the independent foreign fiction prize and is from the new press The Clerkenwell Press first collection which is an imprint of Profile books . So what is Alice about well it is a collection of five short stories ,rather like the collections from Kauzo Ishiguro and Cees Nooteboom in the last couple of years these are theme stories but also all contain the same person Alice ,the theme is death so maybe it is a composite novel of interlinking stories ,but these two recent short story collections sprung to my mind straight after reading the book .We see how Alice is effected by these deaths and the deaths are of people she is connected with the first few are friends ,some she really isn’t that close to then by the fourth story Malte her gay uncle and lastly her own husband and how she deals after he suddenly died .I must admit I wasn’t overly bowled over by this collection ,I found the first there stories very similar in tone Alice was there some one died ,the writing is beautiful but I felt the first three stories were very similar in tone and feel also other than place Alice as the heroine ,friend and a little bit about her as a person ,as the first three men die ,Misha is dying zweribruken with his wife and children Alice is there to help ,then a couple she vaguely knows in Italy invite her to stay and lastly a friend in berlin as he knows his death is impeding planning out what happens during and after his death she visits him and his wife . The last time she visited richard and Margaret she’d brought peonies at this same stand ,having first thought about it for a long time .Seven peonies please ,and don’t add anything ,an uneven number a superstition ,five were to few and she didn’t have enough money for nine . Details is something Hermann does well like this thought on buying flowers . I read her two short story collections and loved them. They are some of the best stories I have read and then I got this too when it came out in Germany and was quite disappointed. It was somehow pointless and not memorable at all. I forgot it right after I finished it. I’ve read the first two so far, and I must admit this comment of yours sums it up perfectly: “Alice was there, someone died”. Made me laugh because it’s so true! Nothing seems especially wrong with it, just too lightweight for a Prize list. I must admit this was the least appealing of all the books based on the blurb etc. and going on the post & comments here it hasn’t got any more appealing. I agree with Caroline, her two first books are far better than this one. “Summerhouse, later” (2001) is my favorite, its a beautiful book, well worth reading & re-reading. I almost want to read this – just so I can see why you don’t like a book! Shame it is short stories, otherwise I’d be straight there! Reading your review made me think a bit more about it: especially the flat, dispassionate tone that I referred to in my review. It’s a bit of a long shot, (*chuckle* possibly clutching at straws!) but could it be that this detached tone is in some way alluding to the way some Germans feel that they have had to suppress their own grief about WW2 because of their culpability? Well, that’s the interesting thing. I’m not as widely read as you are in foreign fiction, but I find myself wondering, is this really one of the best? Sorry you didn’t like it. I would probably not like it as well. Better luck on the next short stories collection! I read half of this before I decided I had better things to do with my time. The sentence fragments got on my nerves, and I really wish she had found some conjunctions and punctuation and joined the words together. I didn’t connect with the Alice character either. I suppose I should have ploughed on to the end, but I really didn’t like her writing style.